Today I am going to tell you a sad story, a very sad story. In South Korea, 94% of households have Interne access, the highest index among the countries in the OECD. Over here 100 Mbps speeds are common (in fact, I have 100 Mbps at home for around $35 per month). However, in this country, there is only one choice when it comes to web browsers: Internet Explorer. ¿The reason? The evil ActiveX controls, enemies of any browser different from the one that comes “imposed” by the Microsoft Windows operating system. Basically, any Korean website involving secure transactions (bank websites, e-shopping, e-government, etc.) requires ActiveX controls. 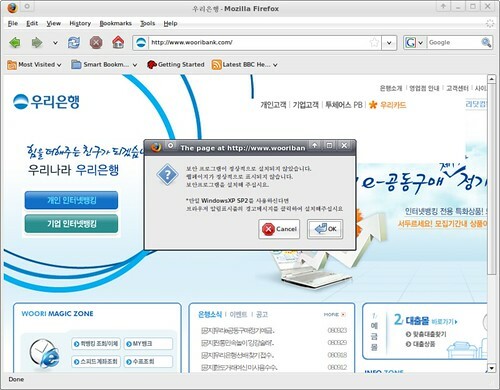 This has specially affected Mozilla Firefox, IE’s main competitor, which has already presented this subject to the Korean Fair Trade Commission. A little window suggests me (in perfect Korean) to install Windows XP SP2. And we are talking about one of the main banks in South Korea. It’s the same with ALL OF THEM. Sad, isn’t it? For those who what to know more about this topic, the root of this problem is perfectly explained here (warning: only for freaks). I am a Korean, and happen to be a Ubuntu user too. This matter you mentioned is a serious problem, but few people concerns.. Anyway, if you don’t mind, I would like to link this article to my blog (nemonein.egloos.com) although you cannot find any English article in it.. 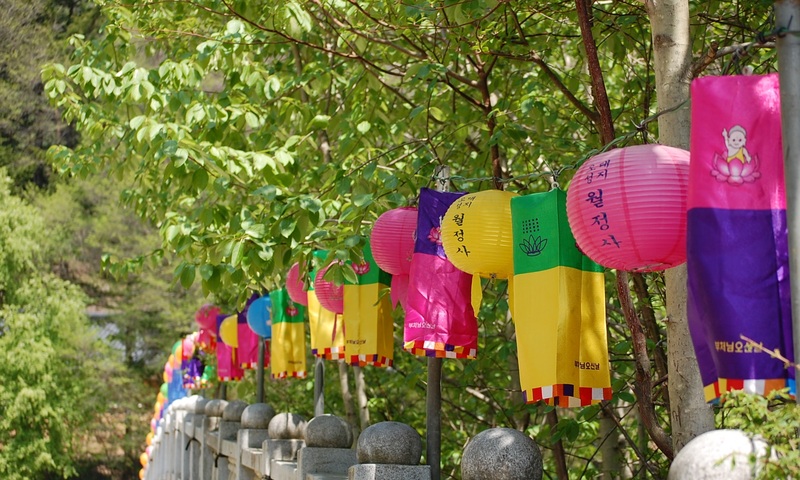 It is not that Koreans do not know there is alternatives. Many do, but they are forced to use IE if they want to enjoy any of the services offered online from a simple online purchase to bank transaction. Basically anything that you have to put your credit information, you *must* use IE.